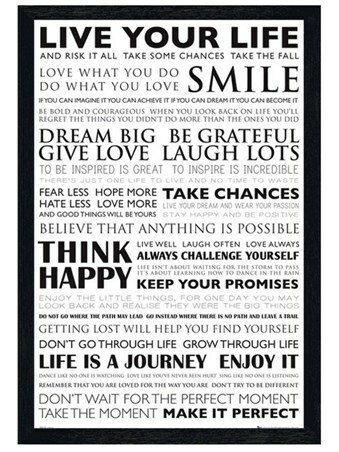 Art Maxi Poster: Live the American dream with this eye catching fantasy art poster by Chris Consani. 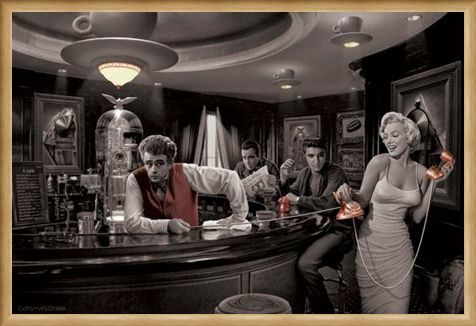 Featuring four iconic Hollywood celebrities from yesteryear, this stunning portrayal of a fantasy 1950's scene is guaranteed to make you feel like you're living the life of a silver screen star. 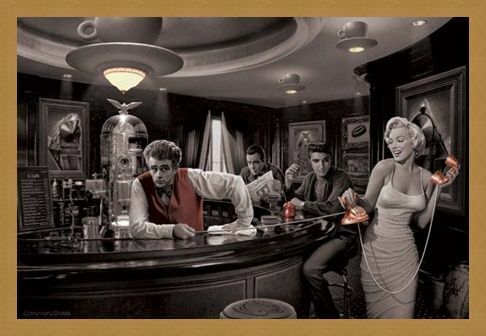 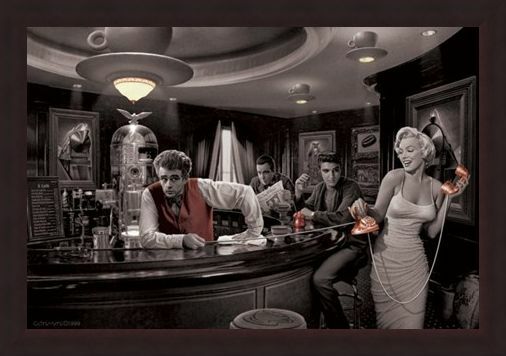 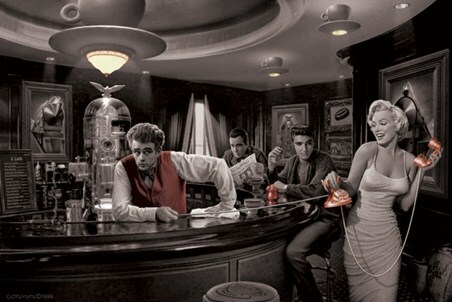 James Dean is ready to take your order as, at the back of the bar, legendary rock and roller Elvis Presley admires the view as the beautiful Marilyn Monroe stays connected in her flowing white dress. Under the dimly lit spotlight, Humphrey Bogart catches up on the recent news as the four Hollywood heart throbs relax in this fantastical Java dream. A must have poster for anyone looking to invite some silver screen superiority into their home. High quality, framed Java Dreams, Chris Consani poster with a bespoke frame by our custom framing service.